Making the filling process of home furnishing items more convenient, our range of sophisticated machines has cornered a large market of India. Manufactured in sync with international quality standards, these machines are sure to serve the users for a long period of time by offering hassle free superior performance. 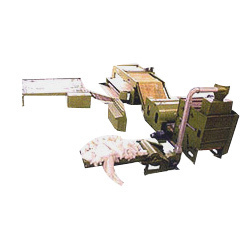 Under this range we offer pillow filling machines, bed filling lines and many more. 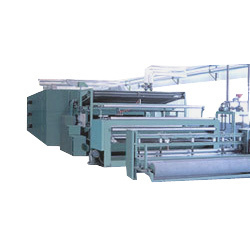 We at Sterling Creation offer world's first and only fully computerized bed filling lines, which find application for the manufacturing of various bedding products such as quilt comforters, bed spreads etc. Compactly designed, these bed filling lines are immensely popular amidst our clients for continuous filling of quilts and comforters. These bed filling lines have the ability of producing 55-60 pcs. of bedding per hours. They are offered by us at market leading prices. Direct filling of unbounded web in to the comforter shells.